Since Canada is not a party to the Hague Apostille Convention of October 5, 1961, the so called chain legalization process exists between Canada and other countries for acceptance of public documents regardless of whether the other countries signed the Convention or not. The legalization is used in lieu of apostille that is only acceptable when two countries both joined the Hague Convention. Canada Legalization Services can assist you with all the above 3 steps. Please use respective links to the left for a particular service type in Canada and associated service fees. Or if you need the "reverse" process of the above, i.e., for your foreign (non-Canadian) public documents to be either officially recognized in Canada or certified in Canada as "intermediary" stage for further legalization in a foreign embassy, please request a quote as we can also provide your such services. For example, newcomers to Canada often need their educational credentials to be accepted for employment in Canada. Or sometimes persons with non-Canadian documents who due to their Canadian residence but employment overseas are unable to authenticate their documents in the country of origin. For example, a South African citizen permanently living in Canada may need to legalize his/her original diploma from South Africa for work permit/licence in Kazakhstan. 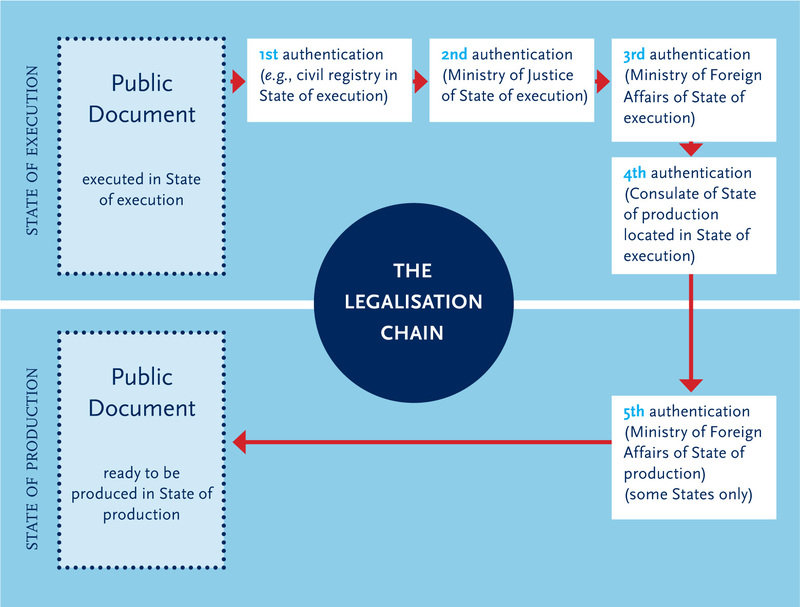 Furthermore, it is quite rare but sometimes foreign countries may require additional duplicate authentication/legalization steps in their own countries - a process often referred to as "superlegalization" when such already legalized document is additionally authenticated in a Canadian Embassy/Consulate abroad with final legalization in a foreign ministry. Canada Legalization Services can assist you with all your document needs in Canada. We can provide you full package of services whether it is DFAIT authentication or legalization at a foreign embassy. Please use the respective links to the left in the main navigation for specific requirements or contact us for additional information.Or you can use the Quick Links to the right for typical documents that many Canadians need legalized for foreign use such as e.g., Police Certificate, Medical Fitness Certificates, Canada Revenue Agency Tax Residency Letters, etc.